IRCC applied its tie-break rule in the January 30 draw. The time stamp used was April 26, 2018, at 05:00:46 UTC. This means that all candidates with a CRS score above 438, as well as those candidates with scores of 438, who entered their profile in the Express Entry pool before the selected date and time, received an Invitation to Apply (ITA)in this invitation round. “IRCC said they were hoping to go deeper into the Express Entry pool in order to get at the talent below the cut-off scores we were seeing last year and this latest draw has that effect,” said David Cohen, senior partner with the Campbell Cohen Canadian immigration law firm in Montreal. 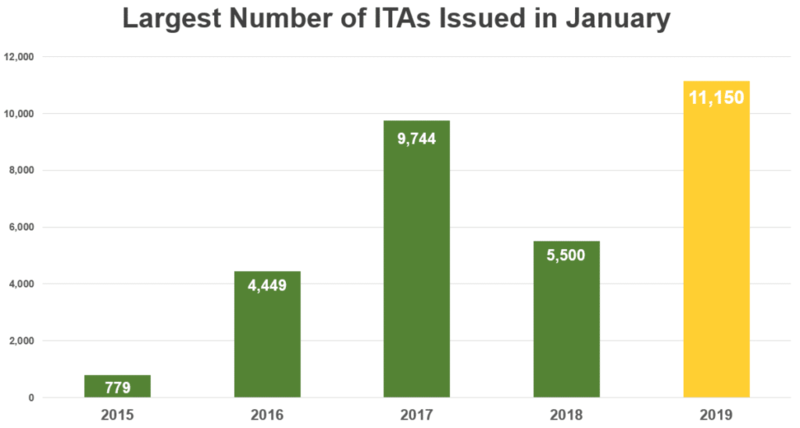 “Express Entry is off to a great start in 2019 and it will be exciting to see where it goes from here.